It occurred to me that today would be Alfred Hitchcock’s birthday. His 112th. Something I always think about when it comes to Hitchcock’s films is that he couldn’t be successful in today’s society. With Psycho (especially Psycho) Hitchcock instituted strict guidelines for seeing the movie. There were no private screenings for critics. No clip-filled trailer. No interviews with Anthony Perkins or Janet Leigh the week before it opened. And if you showed up late to the theater, too bad. All of this worked to preserve the plot and the now infamous shower scene. I don’t see a director getting away with this kind of secrecy surrounding their film today. Not with the social media happy culture we live in today. If who wins prom queen on Glee can’t be kept under wraps today, then how Hitchcock operated really is a thing of the past. Or maybe he would. 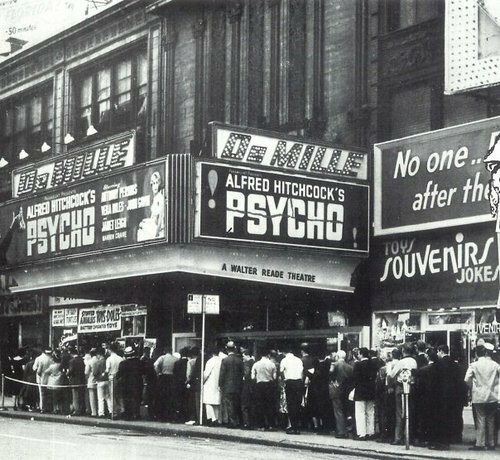 If how Hitchcock promoted Psycho was unique for the film culture of the 1960s, today he would have to be twice as creative. If any director could pull that off, it would be Hitchcock.